Have you ever read Geoffrey Moore’s Crossing the Chasm? Here is the essential point about the ‘chasm’. Customers who are buying before the chasm are mainly interested in the product or service itself. They want to hear about features. In technology, these buyers tend to be techies. 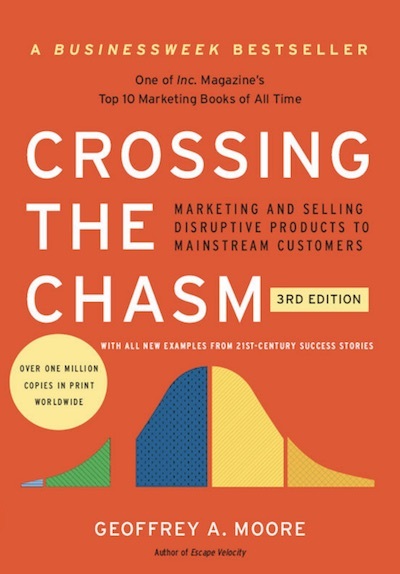 The ‘crossing the chasm’ metaphor is about the move to the phase where your customers are more interested in the business benefits than in the features. In B2B, department managers and procurement people get involved. It is hard for start-ups to make the switch and Geoffrey Moore’s argument was that most companies fail at this point. How likely are they to recommend the product to someone in their position in another company? How can the company improve the product? Once you have spoken to all ten customers, write back to them to say what you have learned and tell them about the three improvements you are going to make. Once you have made them, tell them so, and repeat the exercise. Help the people who say they will recommend your product to actually do so. After the chasm you are talking with and selling to people who want to get a return on their investment. Department leaders, finance people, procurement people and others may become involved. They have certain expectations about the way your support should work, the way your proposals should look, and even the layout of your invoices. Those expectations are set based on their experience with other companies. You will still want to collect feedback about your individual products, and you need to add overall ‘brand’ feedback so you can make meaningful comparisons with other companies as a whole. I have some experience with the environment that immediately follows the ‘chasm’. I helped a Swiss company with about 30 employees to implement the Net Promoter System and organized their first round of customer feedback. Their software is used to backup virtual machines. The majority of buyers at this phase were still techies and that it was tricky to separate their views from the more ROI-centric views of non-technical buyers. I could not persuade the small support team to huddle formally on a daily basis, but they agreed to do so once a week. The 20ish people in the HQ location also set up formal Outer Loop discussions and progress reviews every second week. My customer lifetime value calculation was simply based on the value of an annual service contract and the renewal rates. The business was partly SaaS, partly perpetual licenses. They also agreed to set up a two-person customer success team, but I did not get to follow up on execution there. Personally I think customer success principles are critical in the post-chasm environment as their purpose is to ensure customers get the ROI they expect. And I should mention that the first interesting Outer Loop project centered on the numerous support cases where customers complained about features they thought the software should have, but which were in fact already there. The customers either could not find them or could not work out how to use them. All of the above was done with a person who was formally the customer experience ‘lead’, meaning they did the work part-time. As your company reaches about fifty employees or so, you should probably have a full-time CX leader. As a start-up it is difficult to know whether your customer experience is better than that offered by your competitors. There are no benchmarks available for start-ups. The only suggestion I have is that you should ask your customers to make the comparison with the most obvious competitor for you. If you have other ideas on the subject, feel free to post them below. While I have picked high-tech as an example because I understand it best, the ‘chasm’ situation is the same for every B2B product and service, and for some consumer products. Early buyers/adopters are interested in the details of the product. Later-phase buyers much less so. 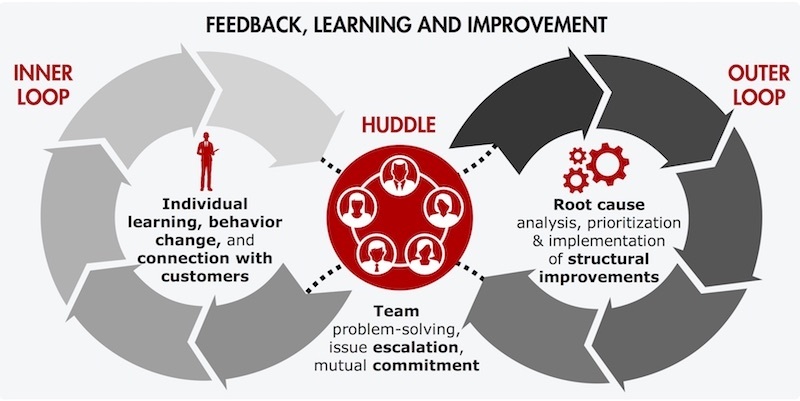 Your feedback gathering and improvement processes should reflect the different phases. The Net Promoter System works really well for all phases. If you understand the basics and want to learn more about using NPS, please consider buying our book Net Promoter – Implement the System. Like all of our books, it is available in print and Kindle formats from Amazon.